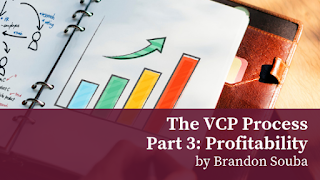 This is the third and final part of my VCP Blog. You don't need to read the other two parts to understand this, but please check them out. I have talked about Visability and Credibility and I feel the ideas and stories can be related to all of us, but Profitability can be very different for everyone. In the most basic form it is yielding financial profit or gain, which is one meaning of the word, but in BNI it can mean so much more. 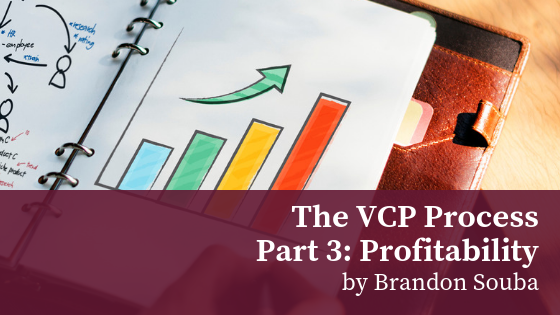 I want to highlight some of the different versions of Profitability that I have heard from members in this blog, and will start with the one I've probably heard the most. It is estimated that as much as 75% of the population struggles with the fear of public speaking to a certain degree. Some sources say it ranks above the fear of death. But how do you conquer that fear, or at least get better at it? In BNI you speak in front of people every week and from time to time you are the feature presenter, putting you front and center with your chapter. In BNI we build relationships and support each other, so by being in front of peers that you know, like, and trust helps to start the process of getting more comfortable with speaking in front of others. On top of that, you receive unique referrals from the chapter and that puts you in front of some audiences where you may not have had the opportunity otherwise. This takes you a little bit out of your comfort zone and forces you to be more prepared and adaptive when talking about your product or service. For me the only way to overcome a fear is to face it, and BNI gives you that opportunity on a constant basis. Ivan Misner says to "be more interested than interesting." I love this saying and even did a podcast on it (https://bit.ly/2Jv2Q09). What I have learned is if you are always interested you may not get a lot of time to talk about your business. So being able to explain your business every week with a minute or less it prepares you to be effective with little time. This way, no matter how much time you have when talking to someone you can explain enough for them to understand what you do and add just enough to make them want to know more. This technique should help strike enough interest they want to know more and set up a meeting after the initial introduction. We live in a world of instant gratification and the quicker you can get to the point of your business, the better results you will have when networking. The support I see in BNI chapters goes well beyond referrals. When you run a business or are a solopreneur or even on a small sales team, you don’t always feel supported. When I was in the home improvement industry there were only two other sales people in the office. For the first few years it was cutthroat and there was no feeling of being part of a team or working together. I worked hard to shift this culture and make it more about the customer and not the commission check. I cannot imagine it is much different in other industries or sales environments, but in BNI we don’t deal with that. All chapters have different styles and personalities, but in all of them there is a strong culture of support for one another. Sometimes, it just so happens we make some business happen along the way while we support each other through our challenges. This one is based a little bit on making more money, but I have heard from more than one member that BNI was why they still have a business today. A BNI chapter can’t necessarily save every struggling business, but if the right person discovers BNI and follows the system, it could be the one thing that works better than any other thing they were trying. This is one reason why you should always be inviting! You never know what will happen to someone once they see the benefits that BNI can do for their business. The greatest part of hearing this story from members is that I hear it from so many different professions, so it proves that BNI works for many businesses in many different ways. Reaching Profitability will mean more money in your pocket, but there are added benefits along the way to help you get there. As a sales professional, you work on your skills in BNI that can reflect on an appointment with a customer. As a business owner, BNI may be your structured commitment to work on your business each week. Yes, putting effort in BNI will help grow your business with Profitability, but you also gain life and social skills that can help every day in your business and life that will lead to better profits and returning customers.